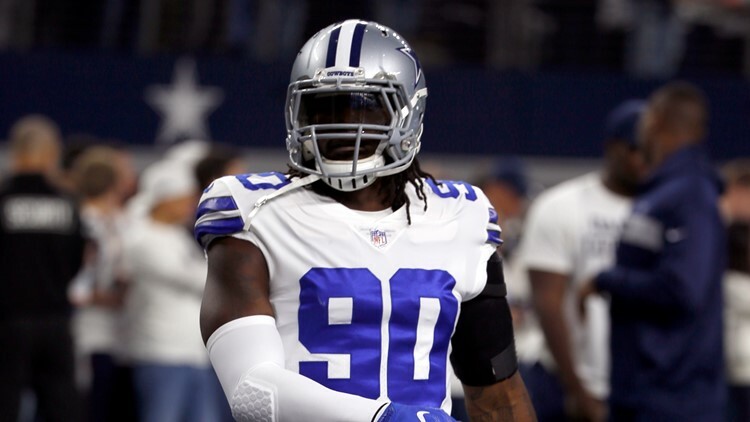 DALLAS — Dallas Cowboys defensive end Demarcus Lawrence doesn't want to be slapped with the franchise tag again in 2019. But at least in the short term, it appears that's where this situation is headed. The Cowboys and Lawrence's representation have until March 5th to hammer out a long term deal, otherwise the Cowboys will have to either apply the franchise tag again, or allow Lawrence to become an unrestricted free agent. When asked if there was a chance they'd get a deal done by that 3/5 deadline, a Cowboys front office source texted "doubt it". The Cowboys aren't going to let Lawrence become an unrestricted free agent, so they'll apply the franchise tag if they can't get a deal done. And then an offseason worth of negotiations will lead up to the July 15th deadline to get a long-term deal done, or Lawrence will have to either play under the tag in 2019, or decide to hold out, a la Steelers running back LeVeon Bell. The likely sticking point is guaranteed money. The two sides are probably fairly close in terms of what Lawrence's annual value is -- roughly $20 million per season. But the guaranteed money is where the contract can vary greatly -- anywhere from the $30-40 million range that JJ Watt, Von Miller, Justin Houston, and Fletcher Cox all got, all the way up to the $60 million Khalil Mack got from the Bears back in early September. Another key reference point is Aaron Donald's $50 million guaranteed, on a contract signed in 2018.